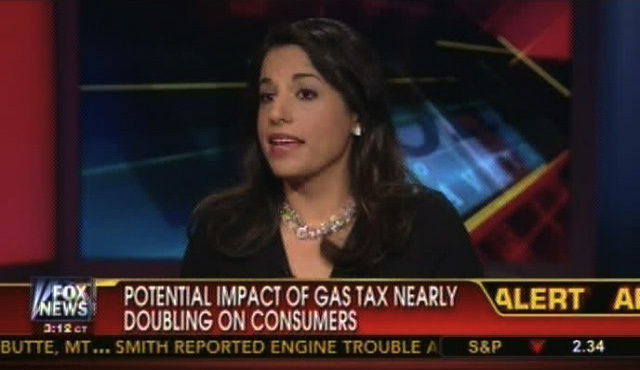 As DC debates doubling the federal tax on gas (a 15 cent hike per gallon), Monica discusses the impact of rising fuel costs for consumers with Fox’s Neil Cavuto. Gas purchases represent 3% of GDP and prices offer a key barometer of how consumers view the economy. The average consumer drives past a dozen fuel retailers in his daily commute making it easy for them to keep stock on prices as well as increases. As gas prices increase, the cost of goods for just about every consumer staple rises from fruit, milk, bread, clothes to mouthwash and sneakers — basically anything that must be transported by vehicle from factory or port to store will be impacted. In an NACS survey that asked how much do gas prices impact your feelings of economy: 38% said great impact, 50% said some impact (10% little, 3% no impact) rate gas price. NACS surveys also shows consumer go out of their way to save on gas: they take left hand turns at busy intersections, drive 5 minutes out of their way to save 5 cents per gallon — that’s roughly 60 cents per tank. Studies also show consumers don’t reduce gas consumption significantly if prices rise across the board; after all they still have to drive to work, pick up kids from school. But spending more of the consumer wallet on gas leaves less disposable income for other purchases. Fuel retailers make pennies on each gallon sold. That coupled with lack of elasticity of consumer purchasing suggests that most of the burden of fuel tax increases will be shouldered by the consumer and the economy at large.